Roadies are the hardworking individuals who volunteer their time for the full week of AIDS/LifeCycle. 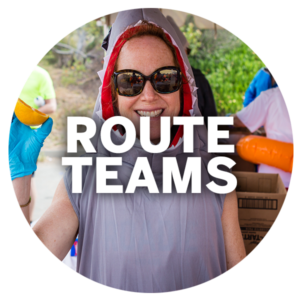 Every Roadie is placed on a team, led by volunteer Roadie Captains, that determines their working group for the week. For 7 days, these folks dedicate their time, energy, and hearts to waking up very early and going to sleep late to move this event down the coast. 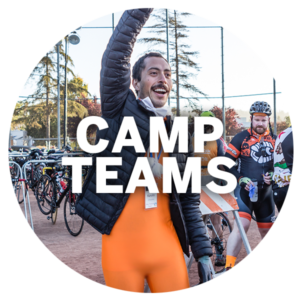 Once registered, you’ll be connected with a Roadie Coordinator who will work with you to place you on a Roadie team, help you prepare for the adventure ahead, inform you of fun AIDS/LifeCycle social events, and keep you involved in our year-round community! Ready to register? Click here: Register for the Ride! Not totally convinced? Listen to why Audrey, Mark, Dan, Ray, Jason, and Matt choose to Roadie, and what this week means to them! The entire Roadie community (about 650 volunteers) is divided into 32 working groups, or Roadie Teams, for the duration of the week. While Roadie jobs may vary in skill and physicality, every job is crucial to the success of the event! Click on the icons below to see the teams! While Roadies have no fundraising minimum, AIDS/LifeCycle is a fundraising event and we encourage Roadies to fundraise too! Participants raise funds for critical programs and services at San Francisco AIDS Foundation and the Los Angeles LGBT Center. The Roadie community typically raises over $700,000 annually for AIDS/LifeCycle! Roadies take a week off to move tables, pick up garbage, mark huge tent grids, hand out bananas, and the list goes on. They work together and create magic out of a warehouse full of supplies. How many people do you know who volunteer for a full week? YOU are an inspiration! Your family and friends may not understand why you would do such a thing, but we bet they are impressed. Tell them your story, and tell them why AIDS/LifeCycle means so much to you. Why are you making this sacrifice? Ask them for their support, and you will likely be surprised. Click here to download a super helpful worksheet to help you refine your ask, and practice your pitch! We even have fundraising recognition for Roadies to give you that extra push of motivation. Check them out here! Ready to get started? Check out our online resources and contact your Roadie Coordinator! Q. When do I start my Roadie job? A. It all depends on your team! 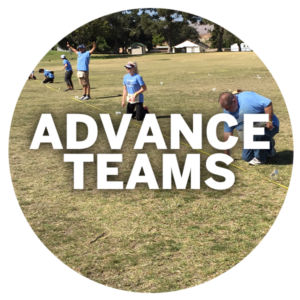 Route teams start early in the morning on Sunday, Camp teams first have to drive to camp and then start working in the late morning / early afternoon, and our Advance Setup teams have a different schedule than most other teams. Check with your Roadie Captain who will know what your schedule will be on Day 1. Q. Will I get to see the Opening Ceremony? A. Depending on your Roadie team assignment, you are welcome and encouraged to attend Opening Ceremony. Check with your Roadie Captain who will know best if your team is able to attend! Q. What time will I be done on Day 7? A. It all depends on your team! Route teams will end later in the day on Saturday. Camp teams head straight to the finish after our last camp is cleaned up and packed away. Check with your Roadie Captain who will know what your schedule will be on Day 7. Q. Will I be able to participate in Closing Ceremony? A. Yes, all Roadies and Cyclists are encouraged to participate in the Closing Ceremony. Q. What hours will I work every day? A. Every Roadie team is different and all teams have their own schedule. Route teams’ days are built around the route open hours: 6:30am to 7pm. 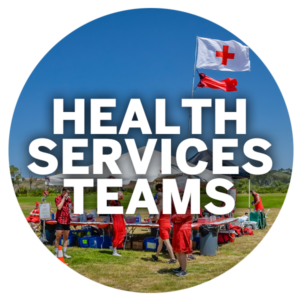 Camp teams’ days are built around each camp’s closing hours: 8am and camp’s open hours: 1pm to 9pm. Camp Roadies can expect a split schedule and Route Roadies can expect a consistent schedule. Breaks are built into each shift, your Roadie Captain who will know what your schedule will be like. Q. Do I get to choose what team I’m on? A. Of course! All Roadies will have access to a Roadie Team Preferences Survey under the to-do list in your participant center. Once this is received, your Roadie Coordinator will chat with you about the teams that are available and find one that is a best fit for you! A. Every team is going to have different requirements but you can check out our Roadie Packing list here. Q. Can I be part of a cycling/fundraising team? A. Yes! Cycling/Fundraising teams are a fun way to grow your community within the Ride. Do keep in mind that this is different than your Roadie Team which is your work assignment during the Ride. If you have friends that are riding and you’re a Roadie, being a part of their fundraising team is a great way to make sure you see your friends! Q. Will I get to see my Cyclist friends? A. Yes, but the amount you’ll see them all depends on what team you’re on! You can expect that when your cycling friends are done riding, you may still have to do work as a Roadie. Some Roadie teams are more forward-facing than others, while others are more behind the scenes. Meals and sleeping in the tent are the most likely times you’ll see them if your schedule allows it. Q. Can I tent with a Cyclist? A. Yes! Do keep in mind what you’re schedule will be as they may not want to get up as early as you. Q. What are the physical requirements to be a Roadie? A. Every team requires some level of physical exertion, which may include: repetitive heavy lifting, walking long distances on uneven terrain, standing for extended periods on uneven terrain, repeated bending and lifting, and more. The Roadie Team Descriptions go into further detail into what each team requires or check with your Roadie Coordinator! Q. Can I Roadie for only part of the week? A. Yes, but these situations are considered on a case by case basis and for some teams, this is not an option. Remember that you are responsible for your own transportation to arrive late and leave early and you are not allowed to bring your own vehicle to the event. Q. How do I get around each day? A. Once you are on the event we provide all your transportation. Generally you travel with your team in a truck, car, van or bus. Q. Can I bring my own vehicle to the event? A. Due to limited space, insurance requirements and team continuity, the general answer is no. A. Yes, absolutely, many Roadies do! While there is no requirement to fundraise, we encourage everyone to try. This event raises critical funds for those living with HIV/AIDS. The Roadie community typically raises over $700,000 annually for AIDS/LifeCycle!